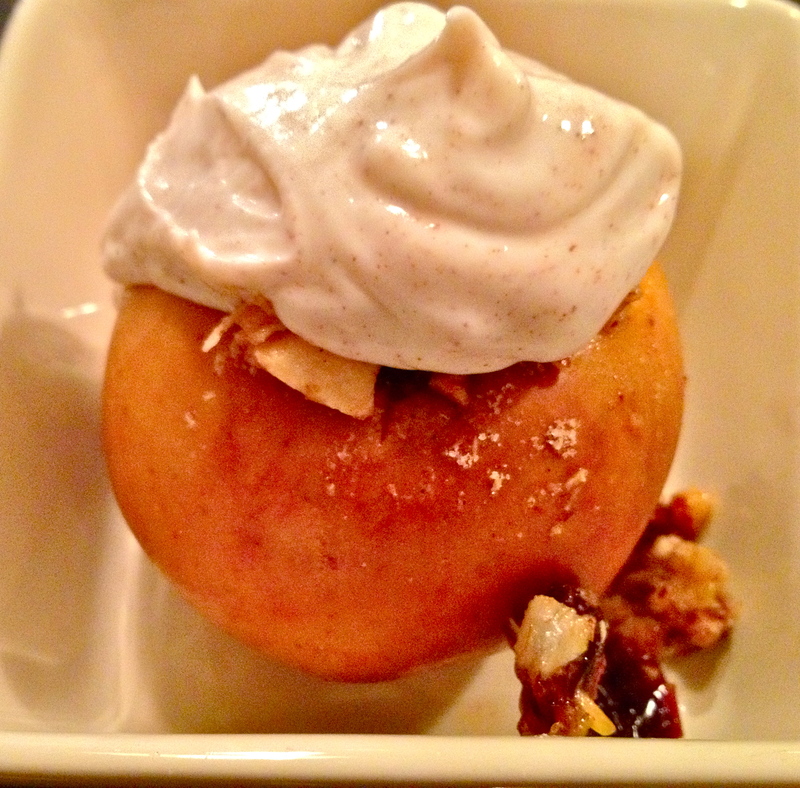 Baked apples were one of the first desserts I ever baked up all on my own; I’ve probably been making these, with variations here and there, for ten years. Read: they’re incredibly easy. I made them ahead of time and left them to sit for a few hours before popping them in the oven. It’s also a super versatile recipe, because you can mix up a filling out of whatever you have on hand. This version has a filling made of oats, cranberries, and almonds, and a creamy cinnamon vanilla yogurt topping, but really any kind of nut and any kind of dried fruit will do. 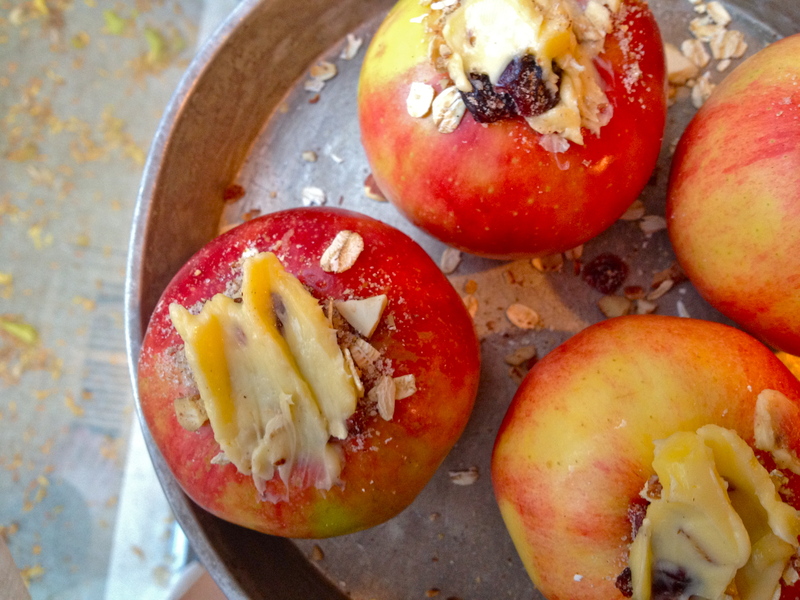 It’s a great way to use up any leftovers from your apple-picking harvest! 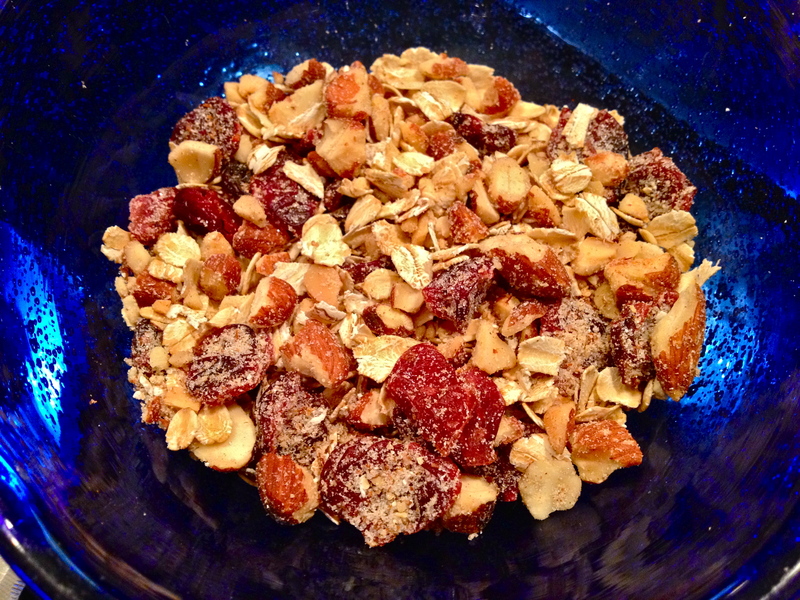 Combine oats, sugar, cranberries, almonds, and cinnamon in a bowl. Stuff each apple with the filling. Really pack it in. Then top each apple with a pat of butter and place in a dish. 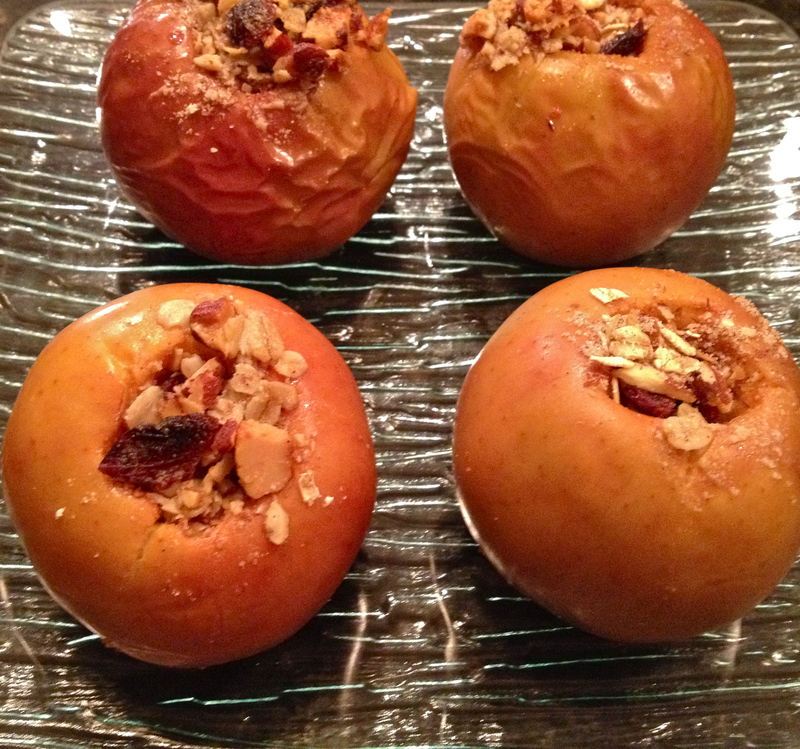 Cover the apple dish with foil and bake for forty minutes. Then remove the foil and bake another ten minutes. Mix up the yogurt and cinnamon and dollop over the apples. Enjoy! Previous Spiced Chicken and Chickpea Stew. Mmm, these sound perfect for a chilly fall night! Seriously sick!!! What an amazing looking dessert!